In Madagascar, 78% of the population lives in the countryside. Who represents and holds power in these rural areas ? I photographed the people who represent the Authority in the rural areas: member of the clergy, the gendarme, the district chief (local representative of the State), the local king, the chief Fokontany, the mayor, the "raiamandreny", the traditional doctor, etc. This power may be misused by its holder who may exploit it in his personal interest. These practices are encouraged by the apathy of the rural population, most often illiterate (in 2014, 46% of Malagasy could neither read nor write according to the Ministry of National Education) and in constant economic and food survival; this apathy is also accentuated by the prevailing political discourse affirming that "fatality" is the cause of Malagasy problems. Thus the idea of demanding an improvement of the daily life or of holding these representatives of the Authority accountable is not even (any more) envisaged. This mentality has been passed down from generation to generation and has become a general pattern of thought among the majority of Madagascar's inhabitants. This traditional form can take the name of fihavanana, which can mean solidarity, but in a broader sense, can mean "spirit of moderation". 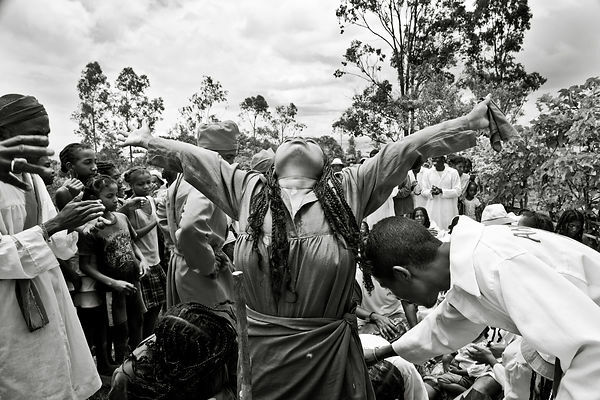 The fihavanana is a typical Malagasy way of approaching human relations on the Big Island, and is a way of "maintaining social balance" in Madagascar. But as the writer Johary RAVALOSON says, the fihavanana can be a way of enslaving the poorest and least educated against those who hold power, the Authority, thus making it possible to annihilate any contesting project.